Presenting Tuesday at the annual Intel Developer Forum, fashion brand Fossil teased its first competitor to the Apple Watch, a device that will run Google's Android Wear platform. The company didn't announce many features, but on Twitter, Intel noted that the device will use its technology and ship later this year. 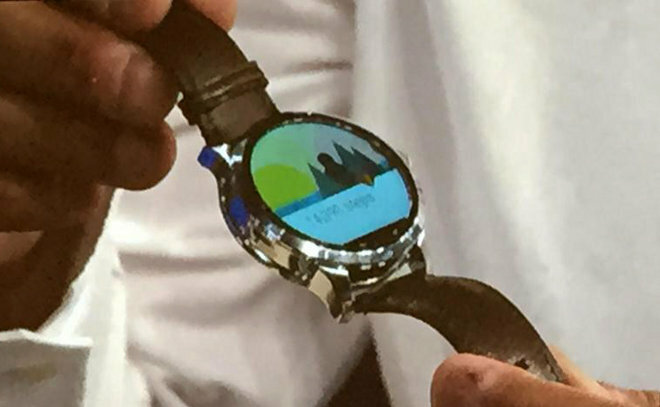 A photo obtained by CNet shows that the product is similar in design to the Moto 360, one of the first Android Wear products, including a round display cut off by a black bar at the bottom. 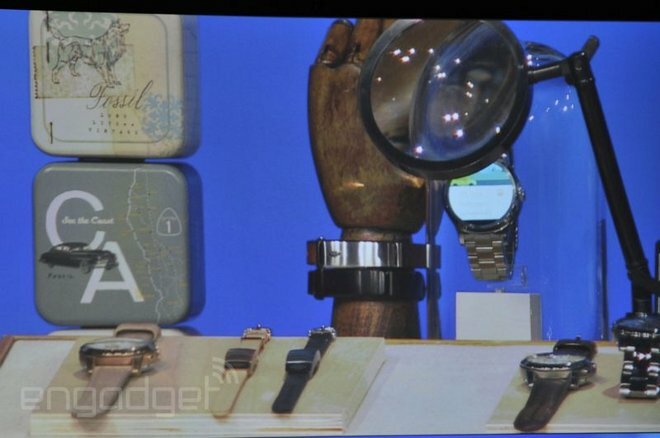 The device will also offer a silver finish and multiple bands, photos from Engadget indicate. These include leather and metal link options. A full product announcement, including pricing, should happen in coming months. The smartwatch market has so far been dominated by technology companies such as Apple, Garmin, Pebble, Motorola, and Samsung. Traditional watch companies are only beginning to enter the field, in some cases out of concern that the Apple Watch could eat into low- to mid-range sales. Fossil's product may be more directly aimed at competing with Apple than others, given the choice of materials and its current conventional options costing less than $1,000. Apple has focused heavily on making the Watch a fashion item, producing a wide variety of bands and using materials like sapphire, stainless steel, and/or gold in more expensive units.